Entry by kyubee on Thu Mar 29 08:23:20 2012. <3 Park Romi & Kugimiya Rie !!! the same voice actor as Alphonse, poor Switzerland. 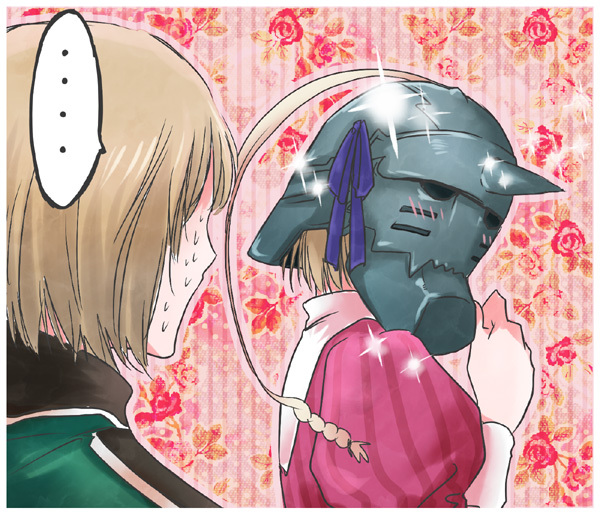 ^ nope, it's Liechtenstein and Alphonse, their voice actress is Rie Kugimiya. T-This is both right and wrong in soooooo many ways. O__O REALLY?? they had the same seiyuu?? Oh my...I never knew that!! XDD looks like I learned something new from zerochan...again.. Realize that not only they share the same voice actors, but also similar personalities? Liechtenstein has the same voice has alphonse and Switzerland has the same voice has edward XD allways brothers. SWITZERLAND QUICK, LOOK AT YOUR ARMS.